Alex Theoharides (@Minne_Pop) provides a meditation on the Replacements song "Here Comes a Regular" and life in Minnesota. There are people who believe that where we live defines who we are—even more so than what we do, or whatever it is we think about after we close our eyes but before we fall asleep. In my heart, I know I am just such a person. 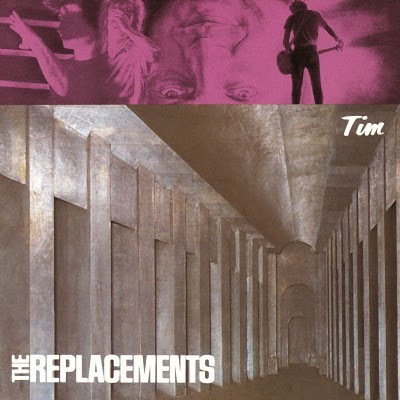 The Replacements grew up around the lakes in south Minneapolis. Their song, “Here Comes a Regular,” takes place in the C.C. Club, a dive bar on the corner of Lyndale and 26th Street. As he sits down at the bar, the man raises his glass to an old “drinkin’ buddy that’s bound to another town.” Then he watches the crowd swirling around him, searching for another regular. “Everyone,” he realizes, “wants to be special here.” For several moments, he savors this thought. Then he resumes his examination of the crowd. “Am I the only one here today?” he asks. The implication, his fear, is that everyone he knows, all the other regulars, have left him behind. While they have moved on, the changes in his life have been small and insignificant. He “used to live at home,” now he stays “at the house.” Summer is ending, but “it’s too late to cut the grass.” Once he loved coming here, now he feels ashamed. I live in Linden Hills, a quiet hinterland tucked into the southwestern fold of Minneapolis. It’s nearly impossible to get here unless you know where you’re going. There’s always a lake or a creek or a street festival blocking the way. My neighbors are robust, good-natured folk, who seem content to live like I do, hidden within a small town, buried beneath a city, enveloped by the looming shadows of New York, Los Angeles and Chicago. Many of my neighbors are much wealthier than I will ever be; others, live like I do, which is to say, well above their means. They take restorative yoga classes. Meditate about the poor children in Darfur. Drink mammoth-sized cups of Fair Trade coffee. Advocate for high speed rails, farmers markets and universal health care. Attend poetry jams at the public library. Shop at any one of the dozen or so small, independently owned, shops in town. Pray to the God of the Week, be it Jesus Christ, Buddha, El, Mother Earth, Lord Krishna, Allah, Moses, John the Baptist, Zeus, Goddess Saraswati, Athena or Sister West Wind. And in the early summer, they take to Lake Harriet in droves, brushing away the mosquitoes and the no-see-ums as they wander in a seemingly endless circle around the lake. The bouncer doesn’t nod at me as I slip past him into the C.C. Club. Apparently, he isn’t impressed by my Buddy Holly glasses, hipster-beard or retro-Timberwolves T-shirt. Then again, I look like almost everyone else at the bar: I look like I’m trying too hard. The C.C. Club is surprisingly empty for a Thursday night. A few regulars sit at the bar, drinking whiskey, but for the most part, the patrons appear to be young and overly enthused to be here. After putting my coat down on an empty booth, I stand by the bar, waiting to order a drink. “This is a cool place,” the man standing next to me says. I turn to look at the man. He’s short, and has long sideburns and spiky hair; he looks like he belongs at a robotics conference. I nod, even though I’m not sure what the hell he’s talking about. Again, I nod. The bartender appears to be ignoring me. For a moment, I consider whether or not I actually need a drink. Unfortunately, I do. I turn to look at the man again. “Yes, everyone here is very nice,” I say. “No, I’m from New York,” I lie, as I usually do when strangers ask me where I’m from because I don’t know how else to answer them. Am I from New York, where I was born, or Massachusetts, where I was raised or Saratoga, where I went to school, or Minneapolis, where I spend my days? And so, I lie. “Port Jefferson,” I say, which is where my grandfather used to live. “What do you want?” the bartender asks, finally shuffling over to me. The bartender nods, then he turns and walks toward the taps to fill my order. Our interaction is over for the night. He doesn’t know me, and never will. I will never be a regular here. My days are regulated by my interactions with Lake Harriet. In early autumn, when the lake water is placid and warm, joggers sit on the ends of the docks, dangling their feet in the water and children wade through the shallows on their way home from school. Soon, the lake water begins to cool. Ice slinks across the surface in November; in January, boys and girls take to the frozen lake to play hockey and to ice fish, to fly kites and to cross country ski. By the end of winter, the air is drier here than anywhere else on earth. Yet, somehow, an almost imperceptible mist clings to the shoreline of the lake, wrapping its ethereal fingers around the willow trees and the lindens. In March, it begins to rain. Puddles form along the surface of the ice; at night, the lake moans and creaks like an old radiator in a haunted house. Locals begin to place bets on when the ice will melt. One morning in April, it does, and over the next few weeks, canadian geese, loons and wood ducks lay claim to the cold water. Then summer comes. Cottonwood seedlings drift in the air; landing on the shoreline, they highlight the border between the lake and the land in a soft, white shroud. At night, music plays from the bandshell—cool jazz and marches, Neil Diamond covers and folk songs by young men, who still believe that one day they will be Bob Dylan. Just beyond the south beach, teenagers go skinny dipping, hiding their nakedness beneath the surface of the cool and dark, moonlit water. And old men and women, married couples, like my wife and I, stroll along the quiet pathway, listening to the clear ringing sound of sailboat masts blowing in the wind. In the shadows, in the moonlight, in the dark and swirling realities that cloud my dreams during the waking hours, I can hear the spirits of the lake calling out my name. Here comes a regular, they sing, loud and clear. Here comes a regular. Claim FREE bitcoins from Easy Bitcoin Faucet. 11 to 33 satoshis per 10 minutes.